I started my working life as an accountant and concentrated in taxation law. Completing my two degrees; Bachelor of Business (Accounting) and a Masters of Taxation Law provided me with the essential analytical and research skills required to write this book. I was also fortunate enough to have spent my childhood years growing up on the Greek island of Psara. This experience provided me with many of the basic fundamentals and the kitchen lore of Greek cooking. I would help my grandmother make our bread, cheese, yoghurt and meals on a daily basis. The produce was organically grown and the freshest ingredients were always used. This is one of the many reasons why I am so passionate about cooking and using fresh and organic ingredients whenever possible. We had deep respect for nature and treated nature with respect and love. One of these ways my grandmother would say is to sing and play music to our produce and farm animals. Our plants responded with bountiful produce for our dinner table. 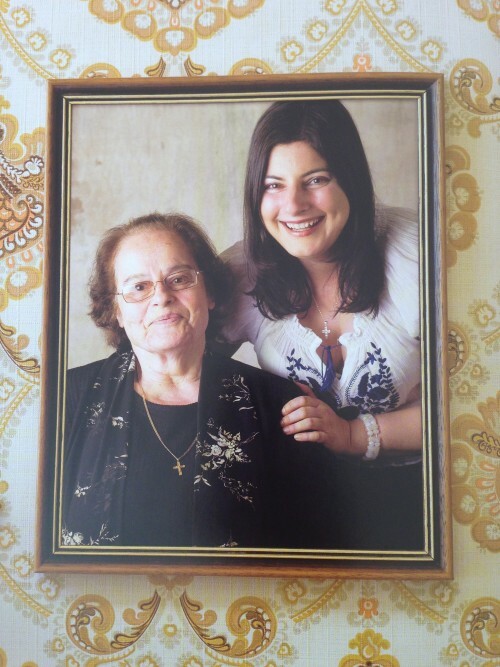 My mother’s side of the family and especially my aunt, Stavroula have been my biggest influence in terms of my fascination and love for cooking. When I cook I sense their spirit and energy is with me and guiding me to produce dishes that capture cultural traditions, family secrets and something different. Although many of my recipes may vary or modify traditionally Greek recipes there is still a strong commitment to retaining and respecting their cultural identity. I have spent years studying ancient Greek cuisine and traveling throughout Greece to explore the cuisine, ingredients, recipes, people, and culture. These include Kalamata and the Peloponnesus region, Macedonia (including Thessaloniki), the Attica region (Athens) and the islands of Crete, Rhodes, Psara, Chios, Aegina, Symi, Tinos, Mykonos, Delos and Santorini. My travels to Greece and the people that I met along the way provided me with the insights into the culture, history, traditions and stories of the many dishes, ingredients and eating. These travels ignited my interest into delving back into Ancient Greece and discovering their secrets to longevity. During these times I also had a number of health issues and I was looking for alternate ways to heal my body and myself spiritually and i found the wisdom to do so by connecting with my ancient Greek ancestors. Congratulations Maria I am purchasing your book , your recipes look delicious you have not changed at all from school. Thank you for your kind comments. Enjoy cooking the recipes. Maria.